I can not claim that I can remember what we ate in this Burmese lunch restaurant. This was Rangoon, Burma in September 1987. But the taste was good, that I can still say. During the same trip, somewhere in Shan state, we stopped for a snack. These rosted nuts, spinach and green chili tasted lovely. 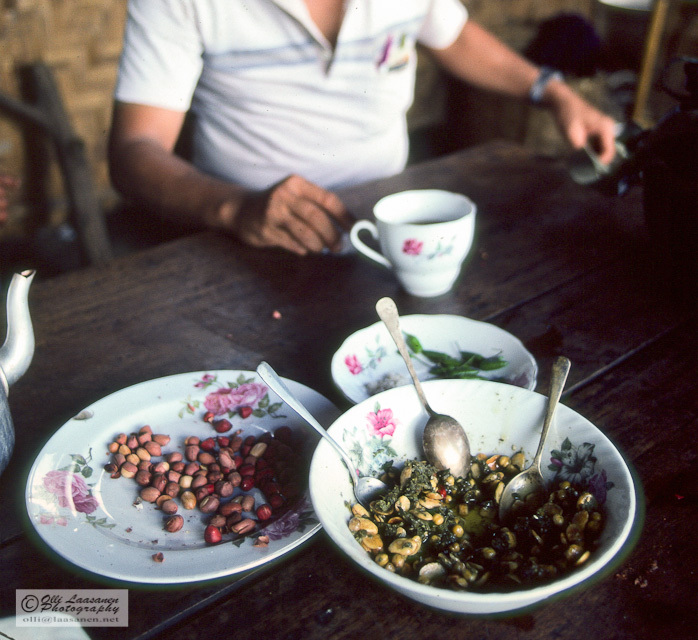 This entry was posted in Burma (Myanmar), Country, Photo, photography, Travel and tagged 1987, eating, food, Rangoon, restaurant. Bookmark the permalink. They eat well, yet remain slim, [at least the majority of the men] there’s a lesson there for westerners, don’t you think? There sure is a lesson for us. 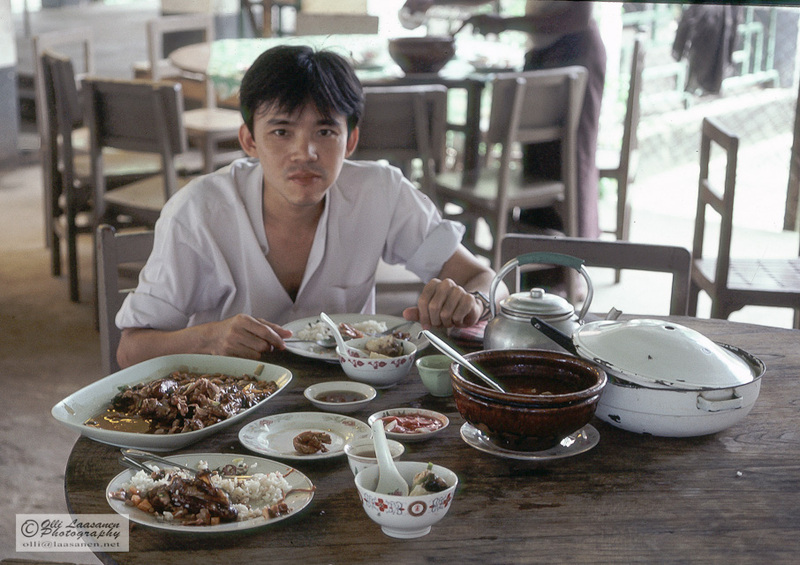 I believe there are two important differences between the traditional Asian (so not only in Burma) and today’s western eating habits: the size of the portions (typically smaller in Asia) and is the number and type of snacks (less greasy and sugary in Asia). At the same time we can not forget the fact that in some countries – like Burma (Myanmar) – people can not afford to spend as much as we do for (unnecessary) food.